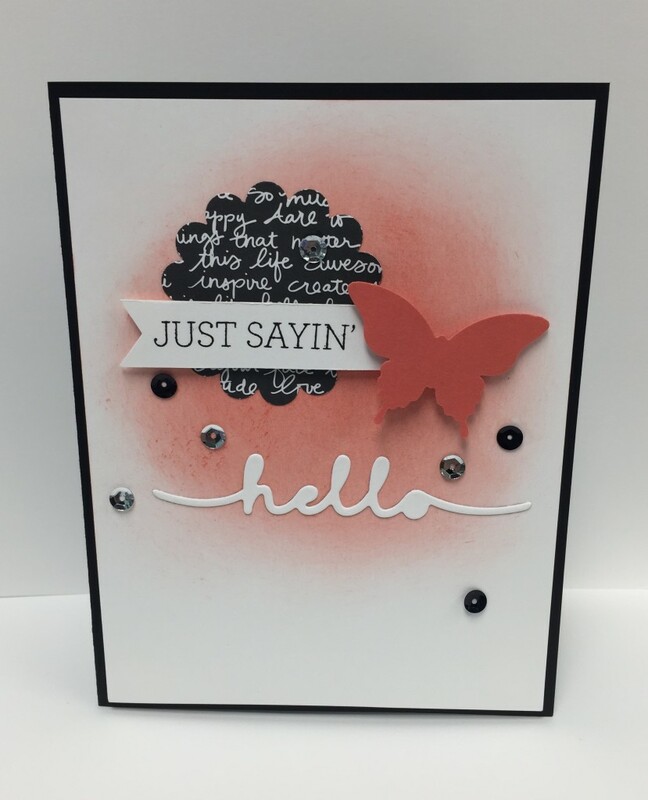 This card was created using the Crazy About You stamp set and the Greetings Thinlits. 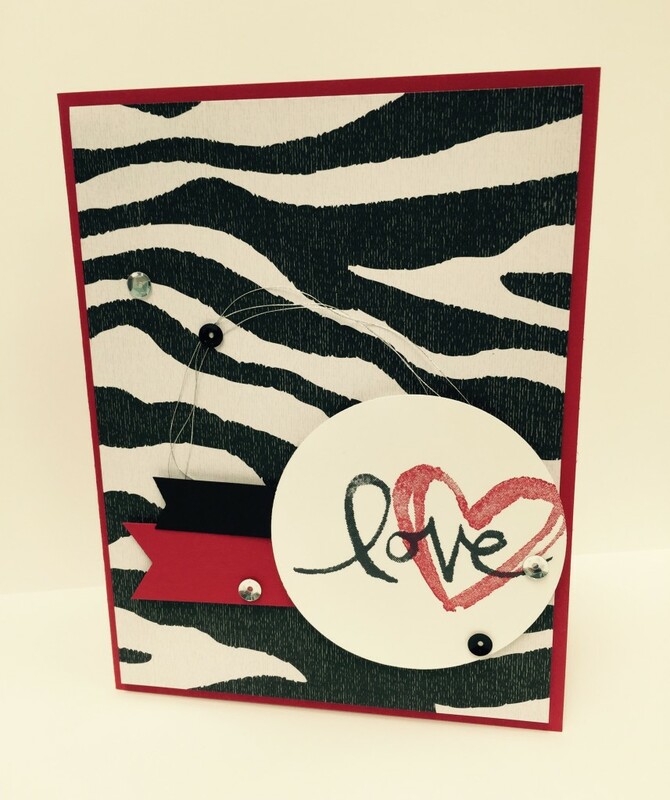 This card was created using the Watercolor Words stamp set and the Go Wild DSP Stack. 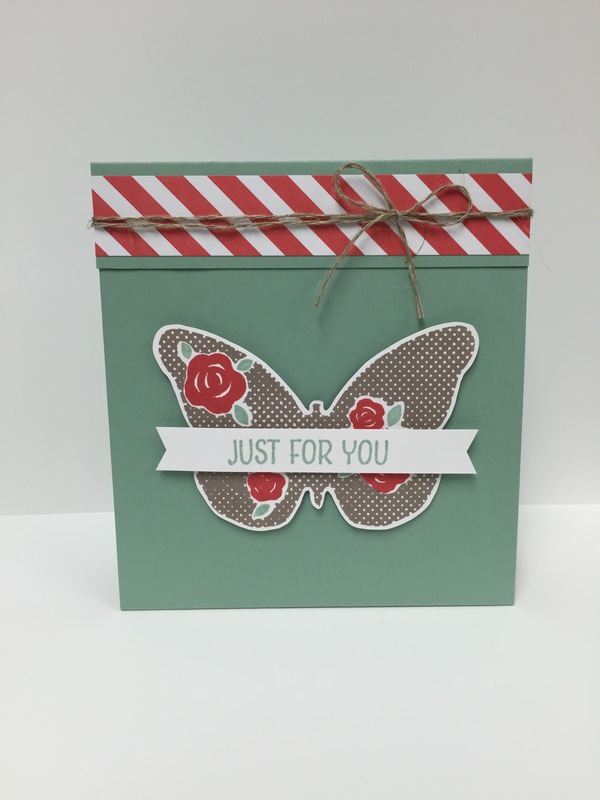 This card was created using the Acorny Thank You stamp set and the Into the Woods DSP. I used the Circle Card Thinlits to create the card base, and I also used the Acorn Builder Punch. Today I’m sharing a quick and easy card. It’s the 1st in a new series I’m starting called Made in Minutes. 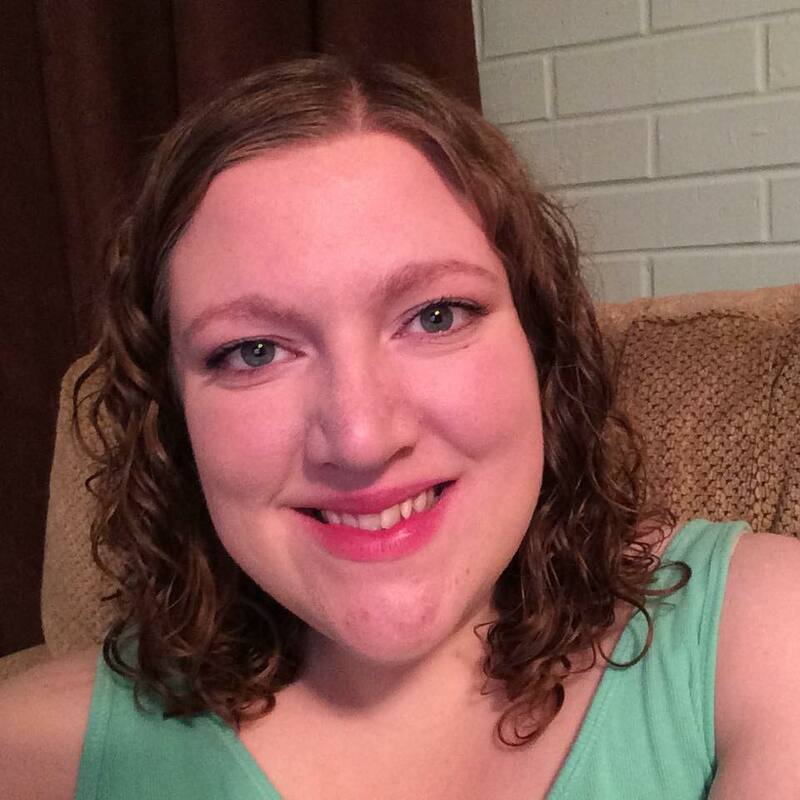 Occasionally, I will post a new project that can be made in under 5 minutes, along with a video tutorial. 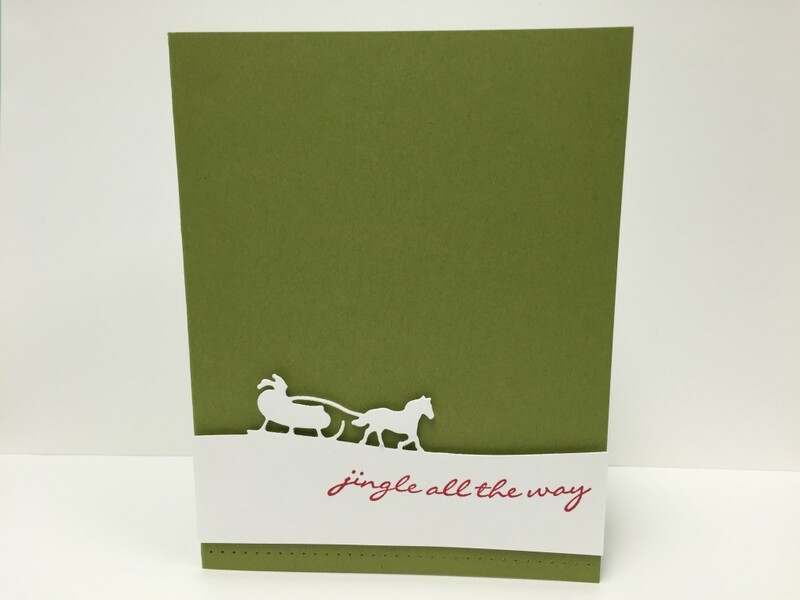 This card features the Jingle All the Way stamp set and Sleigh Ride Edgelits Dies. I completed the card with some piercing along the bottom. 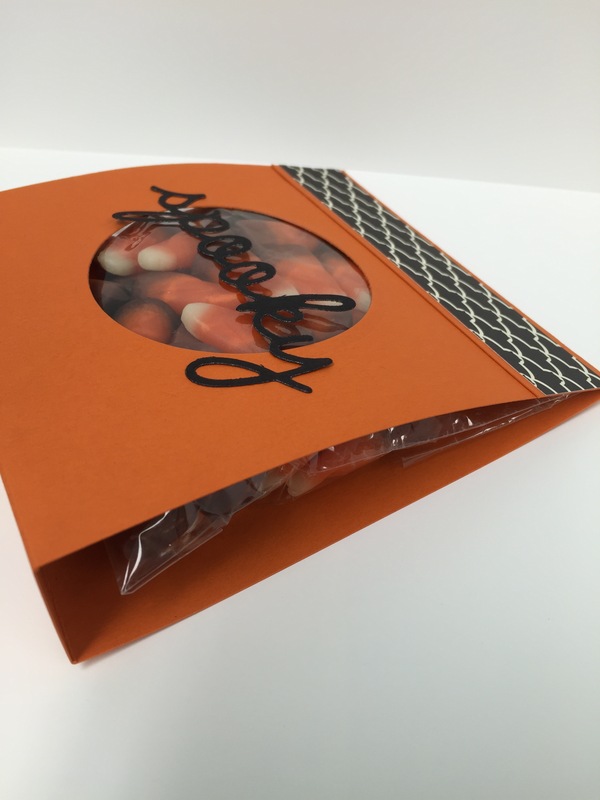 To achieve this look, I used the Essentials Paper Piercing Pack Template. 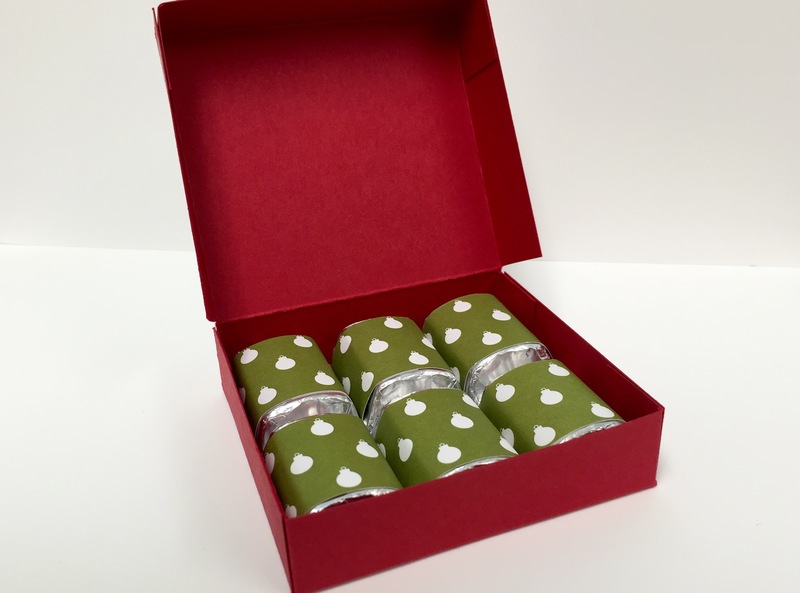 Here is the video tutorial for this box. Supplies List: Click on products to shop online. Earlier this week I shared this small treat box, and today I am sharing the video tutorial with all the measurements so that you can easily replicate this project. 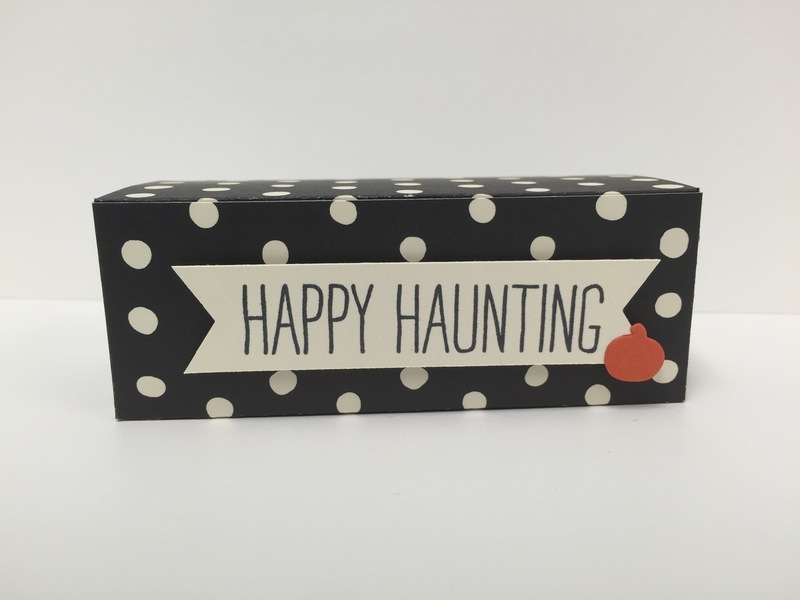 This box features the Cheer All Year stamp set and the Happy Haunting DSP Stack. 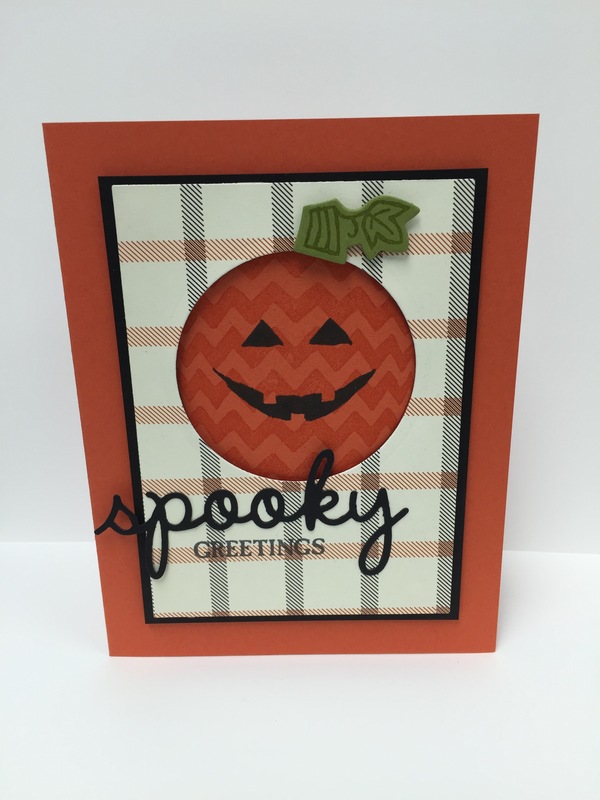 The sentiment, “grateful” was cut using the Seasonal Frame thinlits from the Holiday Catalog. The background of the card base was stamped using the leaf image from A Little Something stamp set, and the yellow leaf patterned paper is from the Into the Woods DSP collection. I added texture to the thin strip of Rich Razzleberry card stock using the Essentials Paper Piercing Pack. 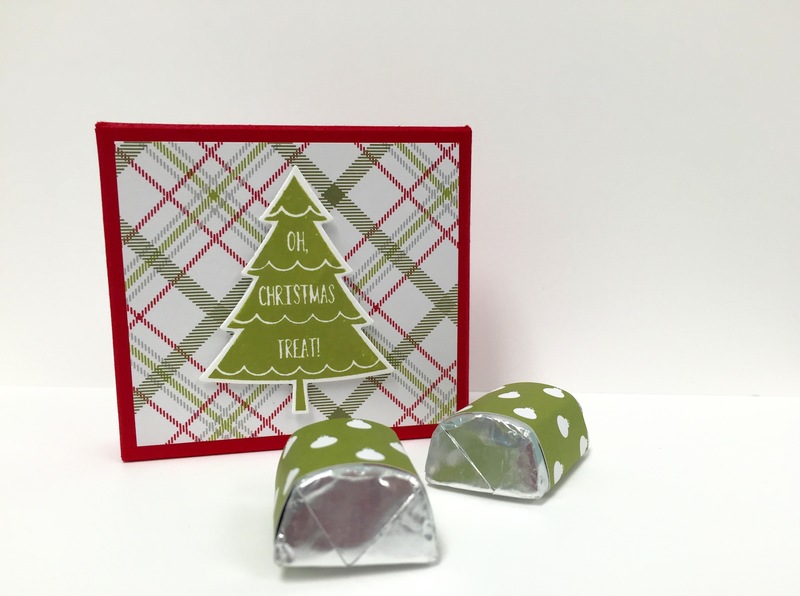 This is the treat box I shared yesterday that features the Peaceful Pines stamp set, Perfect Pines framelits, and Merry Moments DSP. 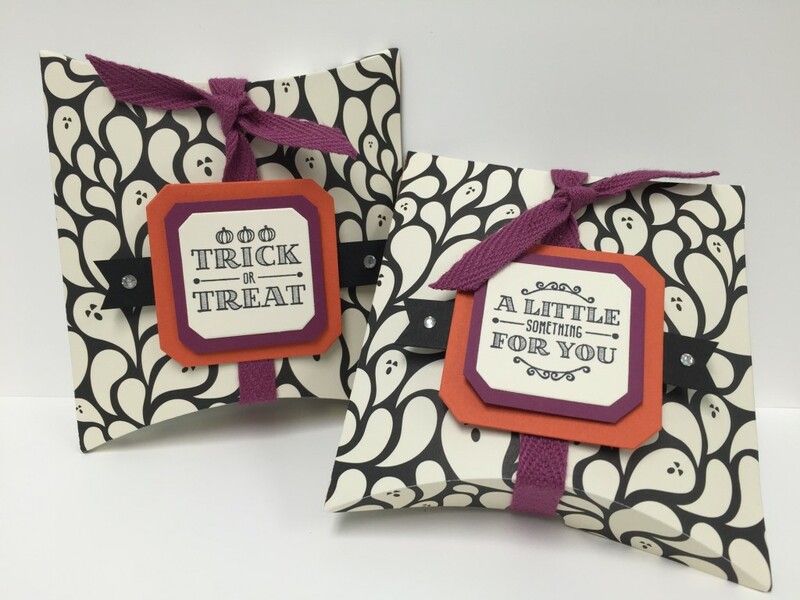 Today’s project features the Sketched Dots Tag a Bag and Happy Hauntings Designer Series Paper. I used the Floral Wings stamp set from the hostess section of the current catalog. Here is the video tutorial for this project. 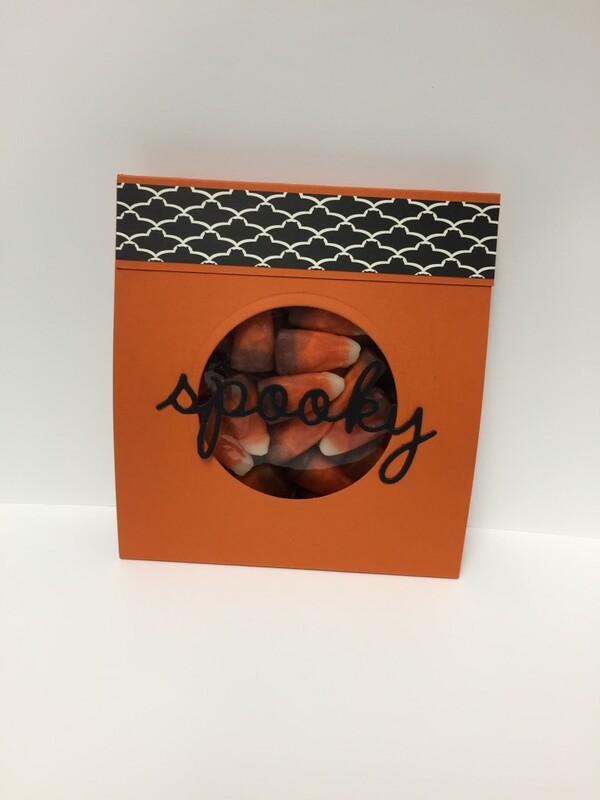 This treat bag was made using the Seasonal Frame Thinlits Dies and Happy Hauntings Designer Series Paper. 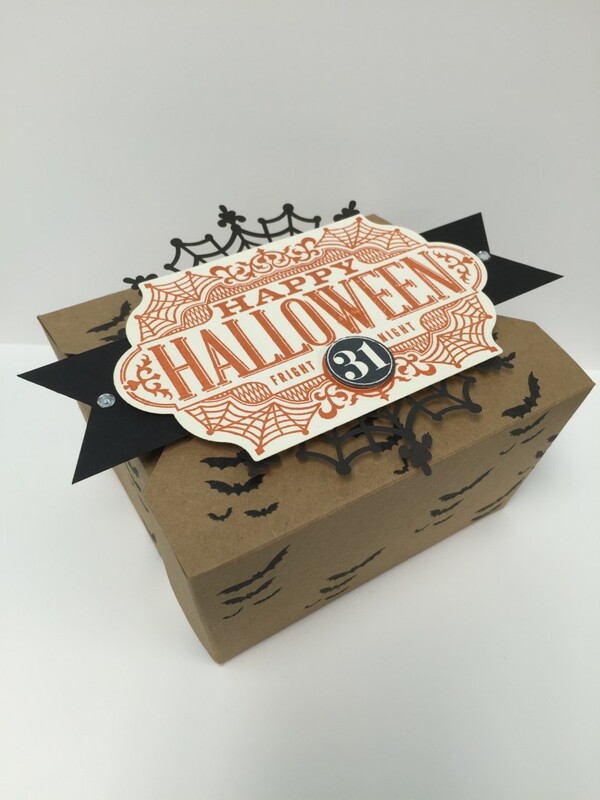 I made this takeout box using the new Witches’ Night stamp set with the Spider Web Doilies and Lots of Labels framelits. 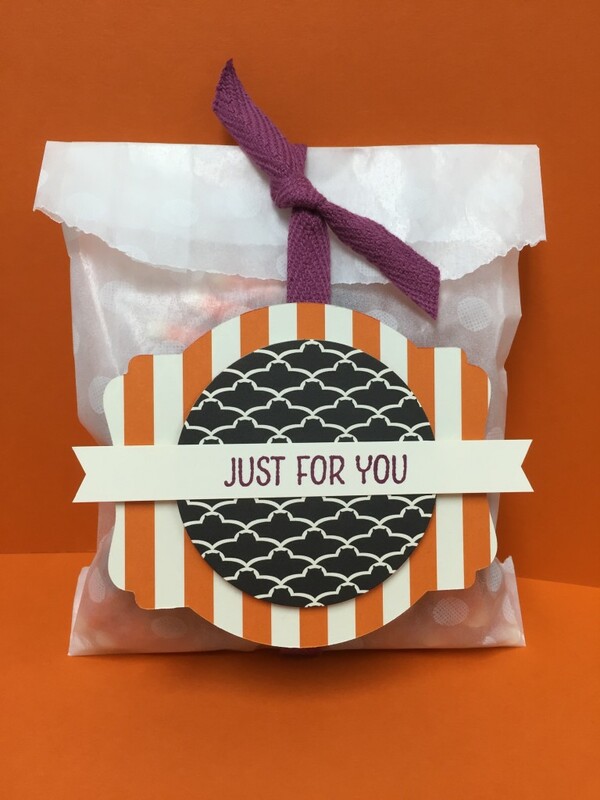 I created this treat bag using a card base I had left over from a card I had made. 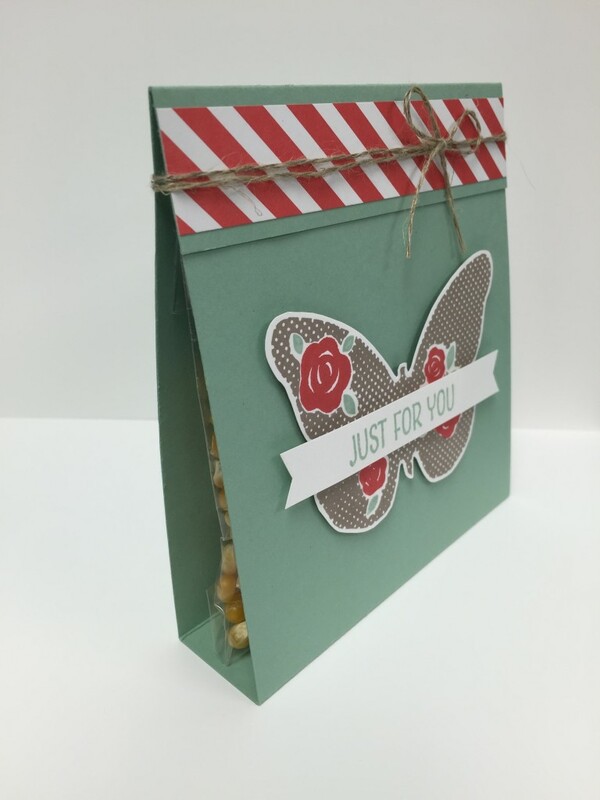 The treat holder features the Floral Wings stamp set in the hostess section of the catalog, and it coordinates with the Bold Butterfly Framelits Dies. Measurements: Cut card stock 4 1/4″ x 11″, and then score at 1″, 5 1/2″, & 6 1/2″. 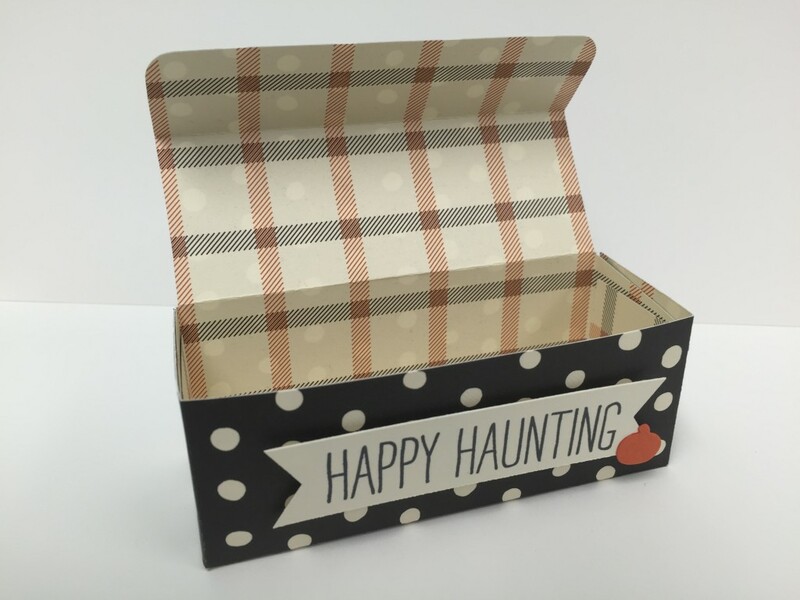 I made this box using the new Seasonal Frame Thinlits Dies with the Happy Hauntings Designer Series Paper. 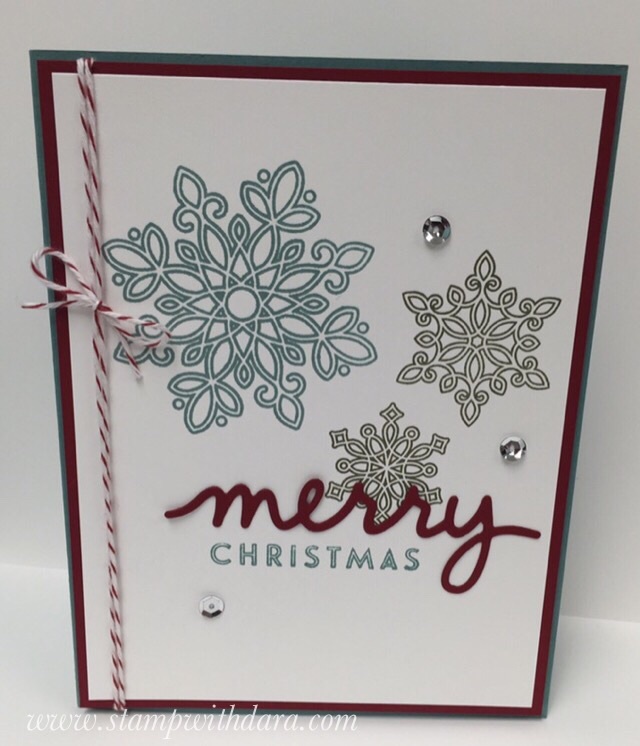 I used the Sparkly Seasons Stamp Set from the Holiday Catalog which is now live as of today. 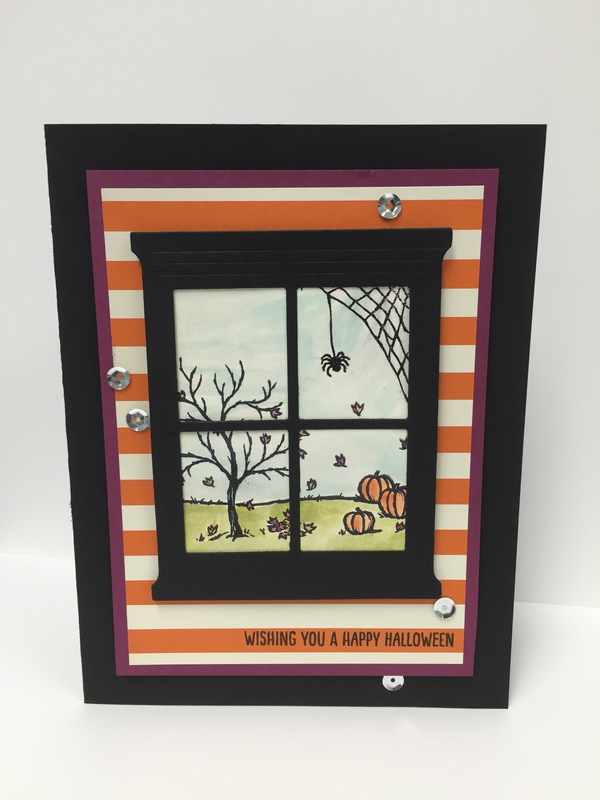 I used the Happy Scenes Stamp Set from the Holiday Catalog, and the window frame was cut using the Hearth and Home Thinlits Dies. I watercolored the scene using ink pads and an aqua painter. 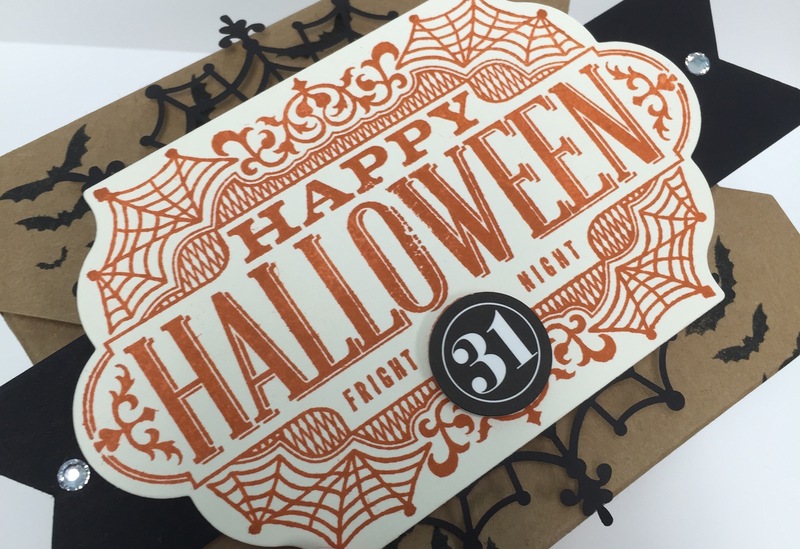 The patterned paper is from the Happy Haunting DSP collection. I made this box using the new Square Pillow Thinlits Die with the Happy Hauntings Designer Series Paper. 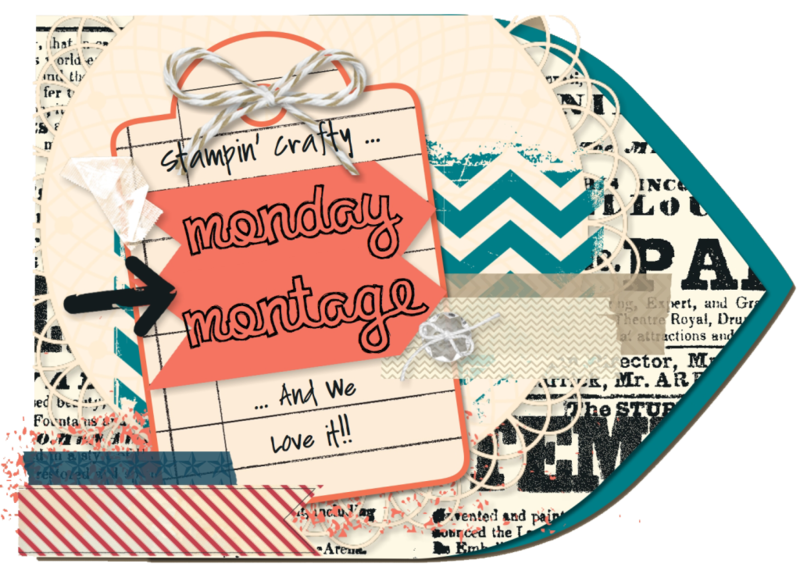 I used the A Little Something Stamp Set from the Holiday Catalog which is now live as of today. 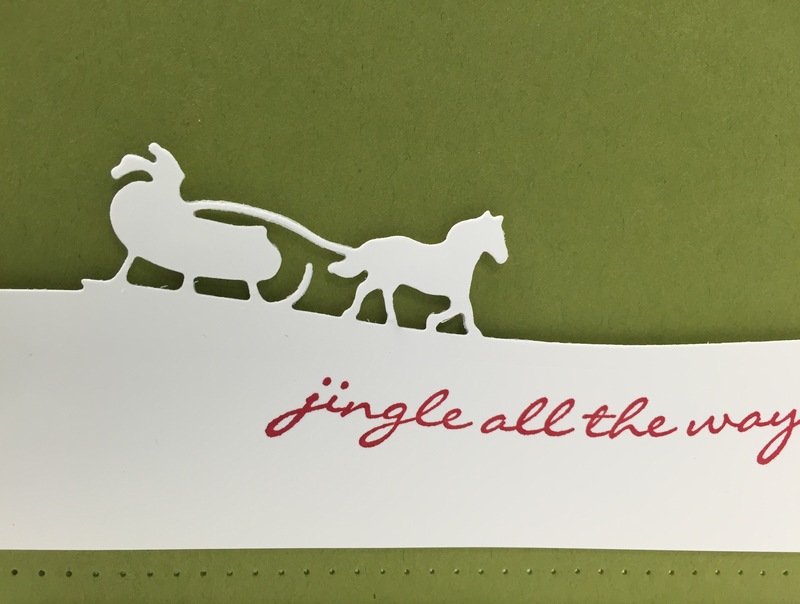 This card features many new products available in the Holiday Catalog (Available September 1st). I used the stamp set called Flurry of Wishes. The “merry” is one of the greetings included in the Christmas Greetings Thinlits Dies.